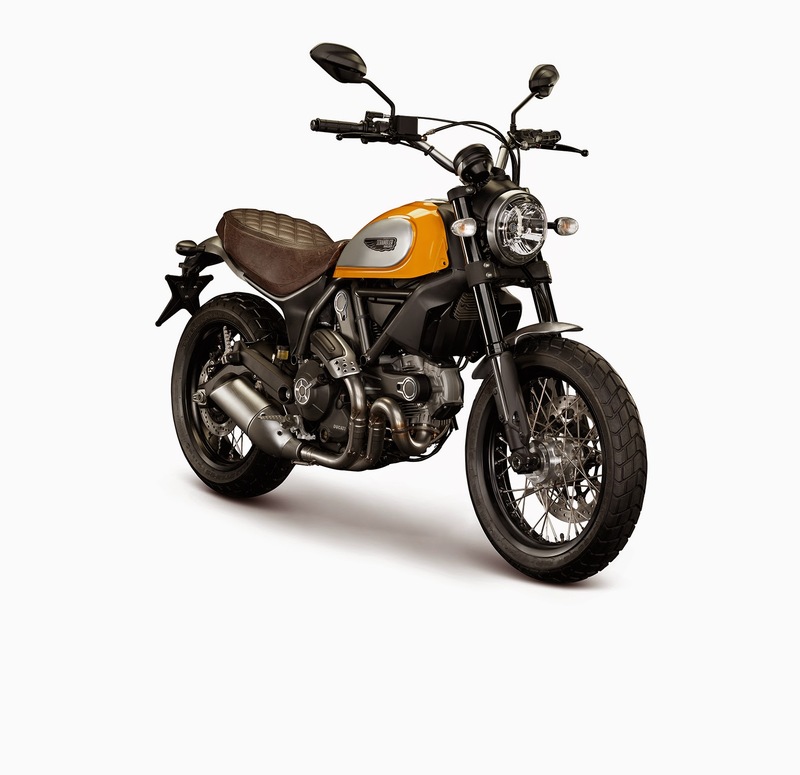 The original Ducati Scrambler was dropped in 1968. 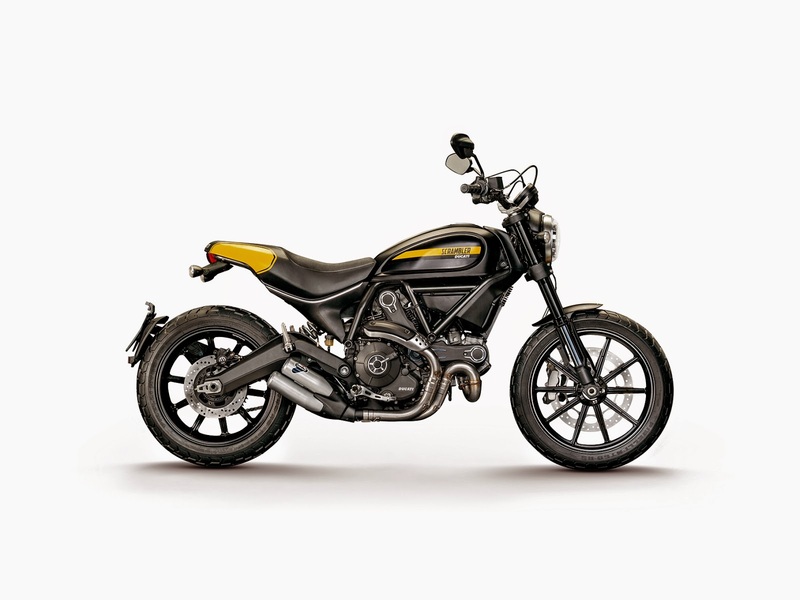 In 2015 the bike will be relaunched as a kind of retro-inspired but thoroughly modern bike. The engine is an 803cc V-twin taken from the Monster 796 with an output of 75bhp. 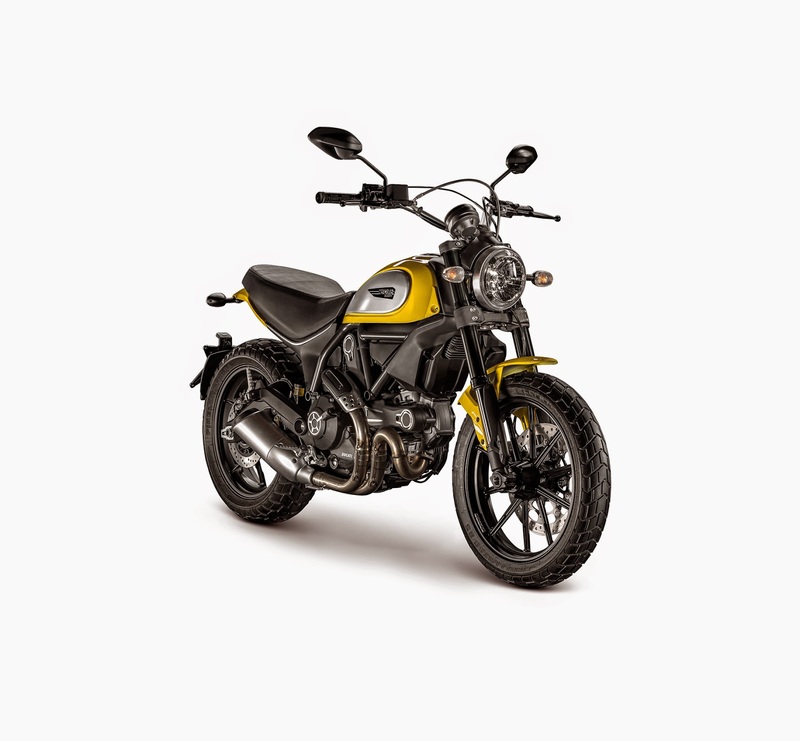 Four versions of the Scrambler will be available with the Icon, the standard model, in yellow and red. 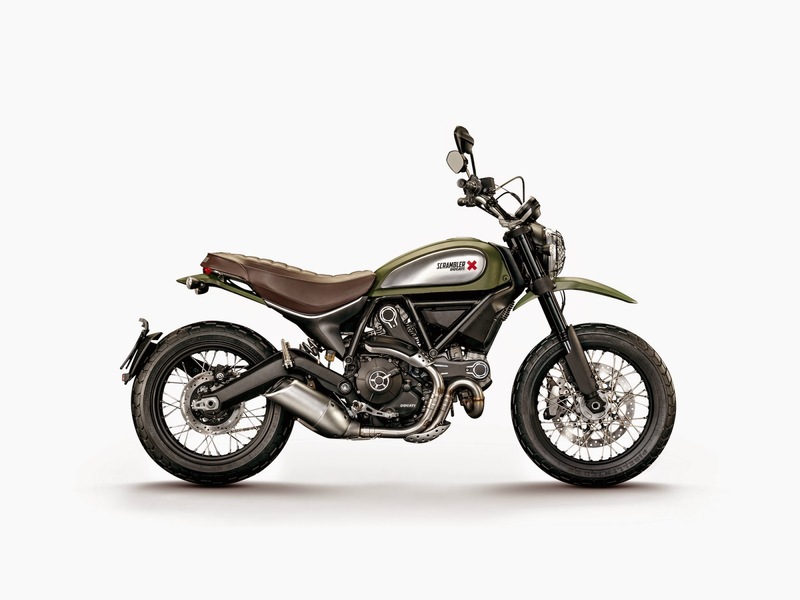 The Urban Enduro is painted 'Wild Green', the Full Throttle has a black tank and the Classic gets spoked wheels and metal mudguards, much like the original Scrambler.